These hearty ribs and beans are my husband’s favorite. 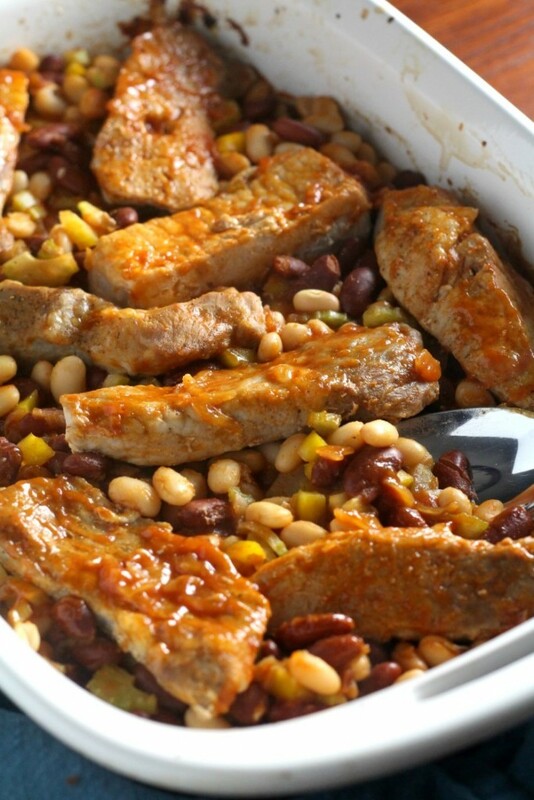 Tender country style pork ribs and beans are baked in a sweet homemade barbecue sauce. Mondays are my weekly meal planning day. I sit down that morning, plan out our meals for the week and make a grocery shopping list before heading out with my kids. It’s worked well for us and helped a lot with the 5 o’clock I don’t know what to make panic.